An breezy and irreverent popular science book that runs through the periodic table, around the globe, and across time to tell the story of the air we breathe. ...by the end of this delightful, deeply researched exploration, Kean’s assertions will seem justified — the book brims with such fascinating tales of chemical history that it’ll change the very way you think about breathing ... Kean crams the book full of wild yarns told with humorously dramatic flair. Prostitutes get splashed with sulfuric acid! Countries go to war over bird poop! Peasants attack balloons with pitchforks and scythes! There are vignettes sandwiched between chapters; even the endnotes are a revelation. 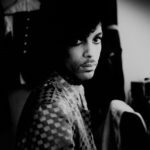 The effect is oddly intimate, the way all good storytelling is — you feel like you’re sharing moments of geeky amusement with a particularly hip chemistry teacher. ...a conversational and illuminating view of the history and inner workings of Earth's atmosphere ... The Enlightenment, with its often mad rush toward new discoveries, is a particularly fertile era for Kean. He charmingly renders a host of characters ... Like all good pop-science books, Caesar's Last Breath strives to strike a balance between erudition and approachability. For the most part, Kean breezes through each chapter with a conversational, occasionally humorous tone, lightening jargon and hard science with lively anecdotes and vernacular. Sometimes, though, he does so to a fault ... And the structure of the book feels scattershot, skipping from topic to topic without quite enough connective tissue — but what it lacks in comprehensiveness it more than makes up for in gleeful energy and curiosity. ...an erratic but exhilarating scientific voyage that starts with the natural history of the atmosphere from Earth’s formation 4.5bn years ago, moves on to the way people have used gases for industrial and other purposes over the last few centuries, and finishes with the impact of human activity on the atmosphere itself, from climate change to nuclear fallout. Kean packs Caesar’s Last Breath with personalities and human interest to ease the reader through the hard chemistry and physics ... Kean’s ultra-casual language, such as discussing whether Pujol was 'scarfing broccoli or chugging raw milk,' may not appeal to certain readers. And some may wonder about his relish for describing violent and bizarre human deaths, which pervade the book ... More seriously, Kean is sometimes too casual with the science ... However, there is no denying the pleasure and indeed the wealth of scientific information to be obtained from reading Caesar’s Last Breath. 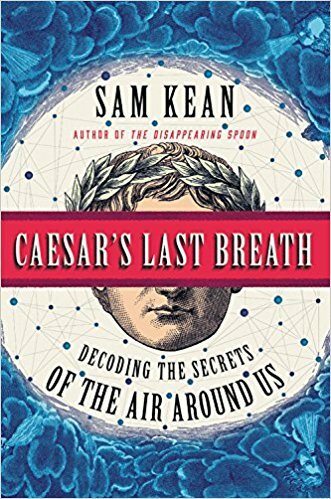 What did you think of Caesar's Last Breath: Decoding the Secrets of the Air Around Us?